Lots of customers have asked us how to add wishlists to their WooCommerce product tables and quick view lightboxes. We’ve tested our WooCommerce Product Table and WooCommerce Quick View Pro plugins with the 2 most popular free WooCommerce wishlist plugins. This tutorial will help you to choose the right wishlist plugin to use with your product tables and quick views, with setup instructions on how to use them together. Both wishlist plugins have a Pro version with extra features. We tested the free ones, so you can follow the steps in this tutorial without having to buy a wishlist plugin. 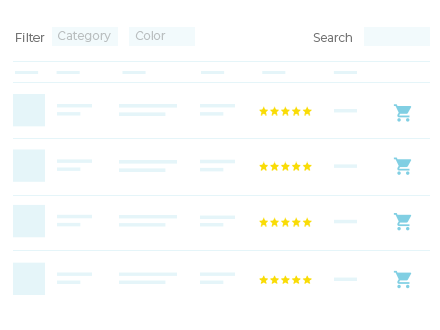 Add a wishlist feature on your site today! With over 3,000 active installs, TemplateInvaders’ WooCommerce wishlist plugin is a popular choice for many stores. It’s also the most compatible plugin to work with WooCommerce Product Table and WooCommerce Quick View Pro. The wishlist plugin comes with a widget which shows the number of items in the wishlist. It has a handy link to the main wishlist page. This flexible plugin works beautifully with product tables – both the standard and lazy load methods of loading the table. The ‘Add to Wishlist’ links (which you can reword to anything you like) appear either above or below the add to cart button, or in any other column in the table. If you’re using the add to cart checkbox option that comes with WooCommerce Product Table, then the ‘Add to Wishlist’ link appears before the checkbox. When you click on the ‘Add to Wishlist’ link for any product, a lightbox will appear confirming that the product has been added. You can either close the popup or click through to the wishlist page, where you can view the items, share them on social media, or buy using WooCommerce. Demo: See it in action on our product table wishlist demo page. Install the WooCommerce Wishlist and WooCommerce Product Table plugins, as per the documentation. Add a product table to any page on your site. When you activate the WooCommerce wishlist plugin, you’ll be taken through a handy setup wizard where you can choose how your wishlist will work. You can choose to position the ‘Add to Wishlist’ button above or below the add to cart button, and both will appear correctly in the product table. Or if your product table doesn’t have an add to cart column, then choose the ‘Custom position with code’ option and add the shortcode [ti_wishlists_addtowishlist] to any other product field that appears in the table. For example, if you add this shortcode to the short description, long description or a custom field for each of your products, then it will appear in the table. View the page with your product table, and you will see the Add to Wishlist links! Tip: If you’re using the ‘Custom position with code’ option, then you must add shortcodes=”true” to your product table. You can either do this in the plugin settings page, or directly in the product table shortcode. The TI WooCommerce Wishlist plugin works beautifully with WooCommerce Quick View Pro, automatically adding wishlist links to the quick view lightbox. You can choose to position the links before or after the add to cart button. Install the WooCommerce Wishlist and Quick View plugins using the documentation for each plugin. When you activate the WooCommerce wishlist plugin, you’ll be taken through a handy setup wizard where you can choose how your wishlist will work. You can choose to position the ‘Add to Wishlist’ button above or below the add to cart button, and both will appear correctly in the quick view lightbox. Or if you don’t need add to cart buttons in the quick view, then you can show the wishlist links by adding the shortcode [ti_wishlists_addtowishlist] to the short description for each product and including this in the quick view instead. Test the quick view lightbox for any product, and you will see the Add to Wishlist links! 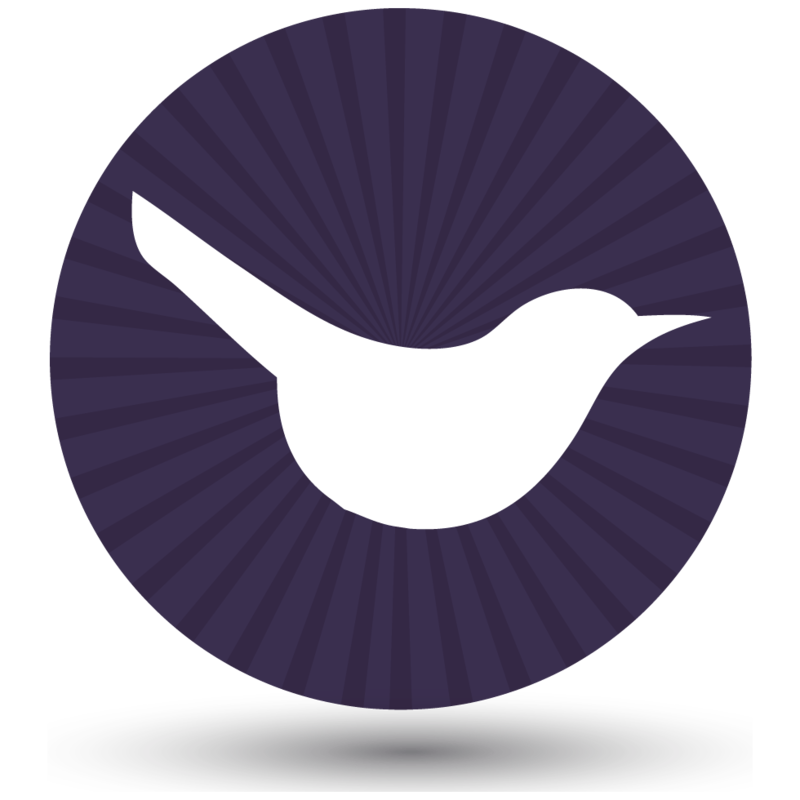 YITH’s wishlist plugin is one of the most popular ways of adding wish lists to WooCommerce. You can use it with WooCommerce Product Table or WooCommerce Quick View Pro by adding the wishlist shortcode to the appropriate place. I’ll provide instructions for both plugins below. 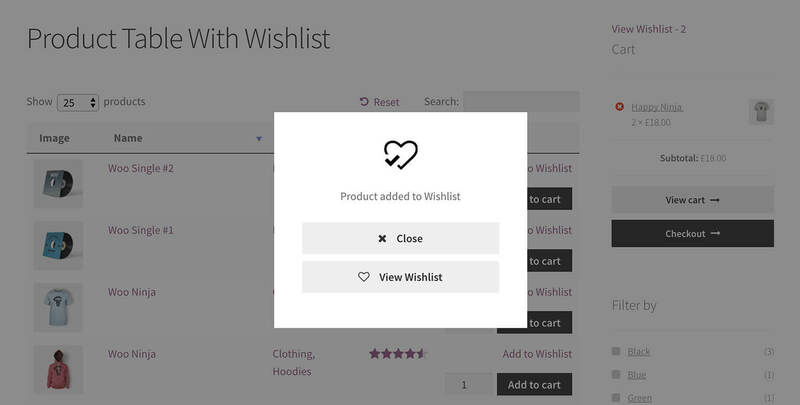 You can use the YITH WooCommerce wishlist plugin to add ‘Add to Wishlist’ text links in your product table. When you add a product to the wishlist, the text will change to “Product added! Browse Wishlist” (you can change this if you like), with a link to the wishlist page. The plugin works fine with WooCommerce Product Table. However, you can’t add the wishlist link within the add to cart column. You can add it to any other text-based column in the table. Or if you’re a developer, then you can use the developer documentation to add a custom column containing the wishlist shortcode. Install the WooCommerce Wishlist and Product Table plugins, as per the documentation. Add product tables to your site as required. The next step is to paste the wishlist shortcode [yith_wcwl_add_to_wishlist] into one of the fields that you’re displaying as column in the product table. You need to do this for every product. You can either add the shortcode to the short description for each product, the main product description for each product, or a custom field (e.g. created using the Advanced Custom Fields plugin). On the WooCommerce Product Table plugin settings page (WooCommerce -> Settings -> Products -> Product tables), enable the ‘Shortcodes‘ option. You should also use the columns option to ensure that whichever field you’ve added the wishlist shortcode to is present as a column in the table (for example, if you have added it to the short description then your table must contain a short-description column). To use YITH’s wishlist plugin with WooCommerce Quick View Pro, you must add a wishlist shortcode to the short description for each product. On the Quick View settings page (WooCommerce -> Settings -> Products -> Quick view), make sure you enable the short description field. This is where the wishlist links will appear. Next, edit each product and add the following shortcode to the short description (this normally appears at the very bottom of the Edit Product screen) – [yith_wcwl_add_to_wishlist]. Which is the best WooCommerce wishlist plugin? If you want to use wishlists with WooCommerce Product Table or WooCommerce Quick View Pro, then I’d recommend TemplateInvaders’ WooCommerce Wishlist plugin. This is easier to set up because the wishlist buttons automatically appear in your product tables and quick view popups. YITH’s WooCommerce wishlist plugin is good too. However, you need to manually add the wishlist shortcode. If you’re happy to do that, then this is a valid option too. 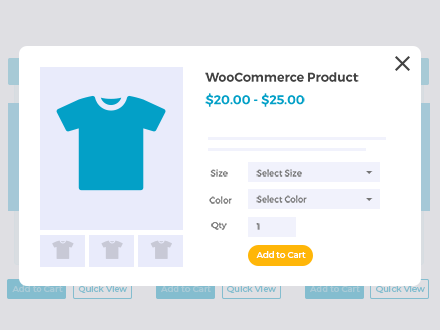 If you’re using WooCommerce Product Table or WooCommerce Quick View Pro with any other wishlist plugins, please let us know. We’d love to test them and publish the details of any more that are compatible. We might even be able to feature your website as a case study!